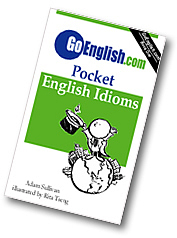 Today's Idiom = "At Stake"
The thing which is "at stake" is the thing you could lose if you fail. Example: "You would be worried if your life were at stake." "At stake" is the possibility of losing something. Example: "This project must succeed. There is a lot at stake here." Example: "I am staking my reputation on it. My reputation is at stake." Example: "Don't you realize what is at stake here?" The thing that you could lose is what is "at stake". Example: "We didn't play very hard today because there wasn't much at stake." Example: "We were already in last place, so there was nothing at stake."